SINN FÉIN HAS confirmed that Peadar Tóibín’s suspension from the party has ended with the Meath West TD to be formally readmitted by the end of the month. Tóibín was suspended from Sinn Féin in July of last year after he voted against the party on the Protection of Life during Pregnancy Bill. A party spokesperson confirmed today his period of suspension has ended but the deputy said it would be a few days until he is readmitted. “I am looking forward to being back in the party by the end of the month. I genuinely want to get back in,” he told TheJournal.ie this evening. In the wake of Colm Keaveney’s recruitment by Fianna Fáil last month, Tóibín confirmed that he too had been the subject of a head-hunting approach by Micheál Martin’s party, but said that he refused the request. 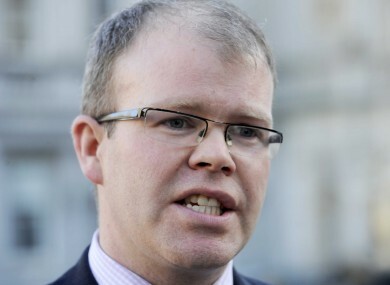 Email “Peadar Tóibín returning to Sinn Féin after six-month suspension”. Feedback on “Peadar Tóibín returning to Sinn Féin after six-month suspension”.